This two-time Academy Award winner needs no introduction; the Forrest Gump and Apollo 13 star is probably the most recognisable face in Hollywood and the world over. Despite being one of Hollywood’s top-grossing actors, Hanks is known for his love of everything green, eco-friendly and relatively boring. Way back in 2003 – when the electric technology was very much a new concept – he bought a Rav4 EV, an electric version of the compact Toyota SUV. In fact, six years after driving the Rav4 Hanks wrote to the New Yorker, praising its durability and low impact on the environment. Thanks to F1 the electric technology has since improved dramatically, and Hanks has been seen around L.A in a AC Propulsion eBox. 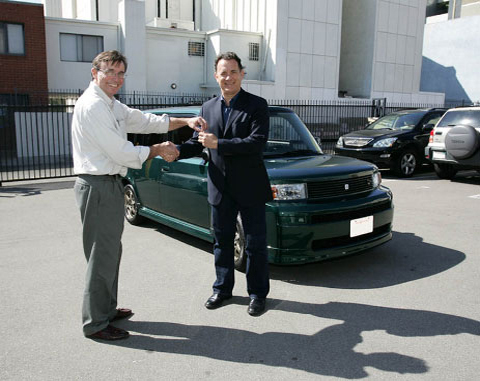 The little car is a Toyota Scion modified to become a fully electric vehicle, a transformation that set Hanks back a massive $55,000 – not that it matters to him, of course. We score this low because… well, just look at the thing. 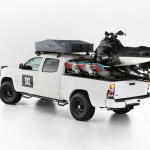 I’ve seen pictures of Travis Rice driving his bog standard red Toyota 4X4 before, and since Toyota approached him and his DC Shoes teammates, Iikka Backstrom and Devun Walsh to create an “ultimate Toyota Tacoma”, Rice didn’t have to think about his answer. Rice is the current “Best Male in Action Sports” and a decorated X Games snowboarder, even appearing in the hit film, Art of Flight. All the aspects of an ultimate 4X4 came naturally to the DC Shoes team and Travis Rice finally unveiled his creation at the 2013 SEMA car show. 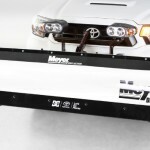 Whether he needs to camp, kick up some snow, plow his neighbor’s drive or even take a snow mobile out for some octane fun, Rice’s Tacoma caters for all. Not really my thing but I appreciate the insight and concept to meet the needs of the snow junkie. I also dig the contrasting black wheels against the white white body.